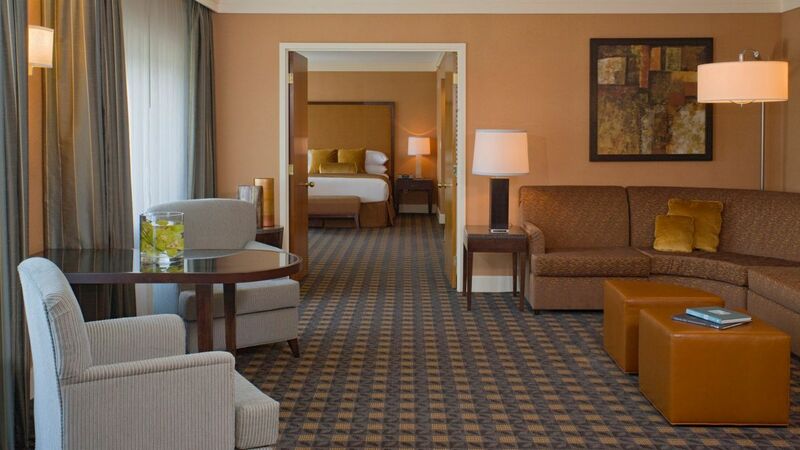 Hyatt Regency Dulles features 316 spacious guestrooms and suites designed for you to relax and stay productive. 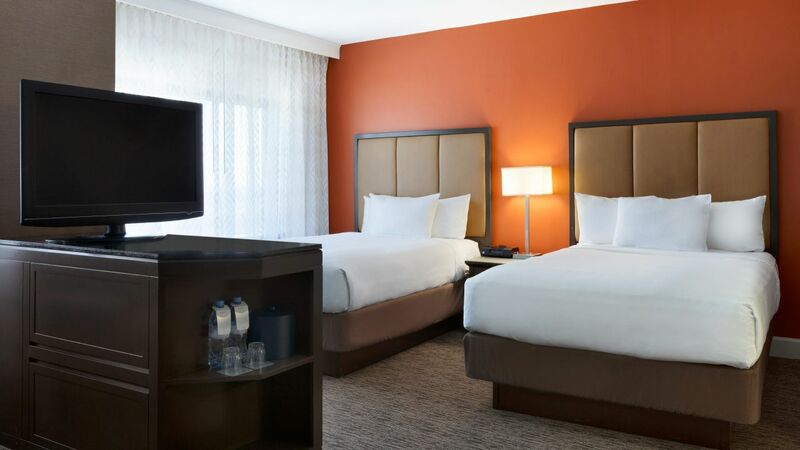 Our fresh, contemporary style blends perfectly with our premium travel amenities, including Hyatt Grand Beds®, 37" HDTV, KennetMD™ bath amenities, free Wi-Fi, and oversized work desk. 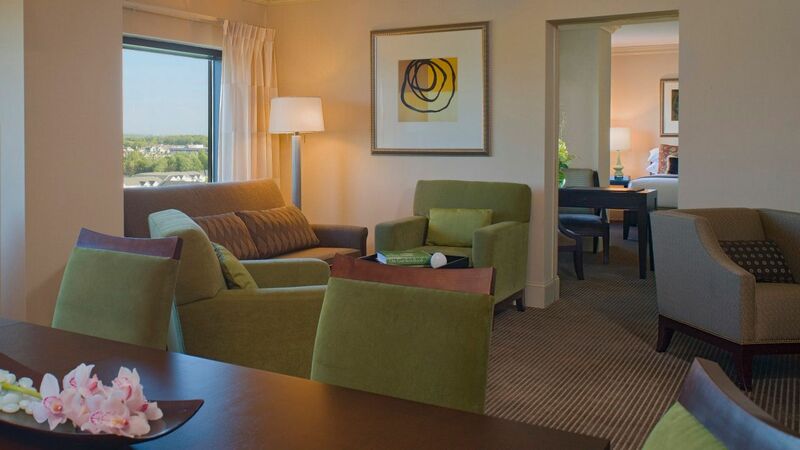 Upgrade to one of our suites and enjoy extra perks, like separate bedroom and living areas, conference table, second TV, and beautiful views. This 377 sq ft uniquely designed suite has one king Hyatt Grand Bed®, an air purification system, separate sitting area with sleeper sofa, and deluxe bath. This is a standard suite. See World of Hyatt program terms for upgrade eligibility. Air purifier listed as Class II Medical Device by the F.D.A. 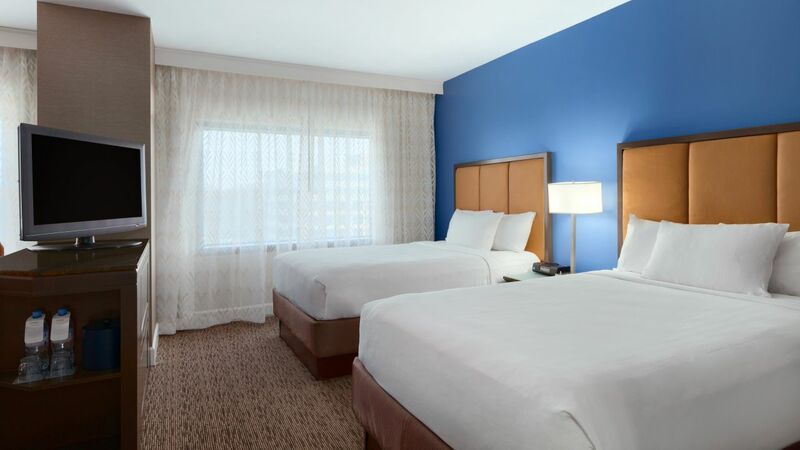 Residential-style 800 sq ft suite with one queen Hyatt Grand Bed® in a private bedroom, spacious living area, work area with conference table, and deluxe bath. This is a premium suite. See World of Hyatt program terms for upgrade eligibility. 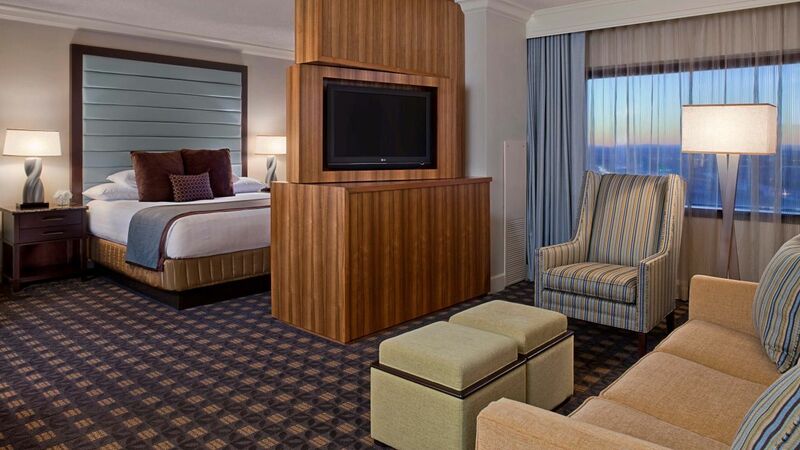 Indulge in this upscale 1,000 sq ft suite with a king Hyatt Grand Bed® in a private bedroom, separate parlor area, one full premium bath, and one-half bathroom. This is a premium suite. See World of Hyatt program terms for upgrade eligibility. 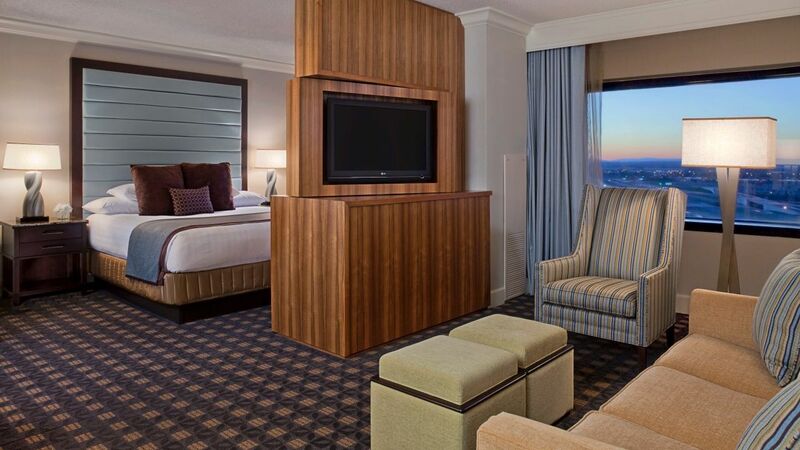 This 377 sq ft suite style room offers one king size Hyatt Grand Bed®, an air purification system, a spacious sitting area with sleeper sofa, and deluxe bath. 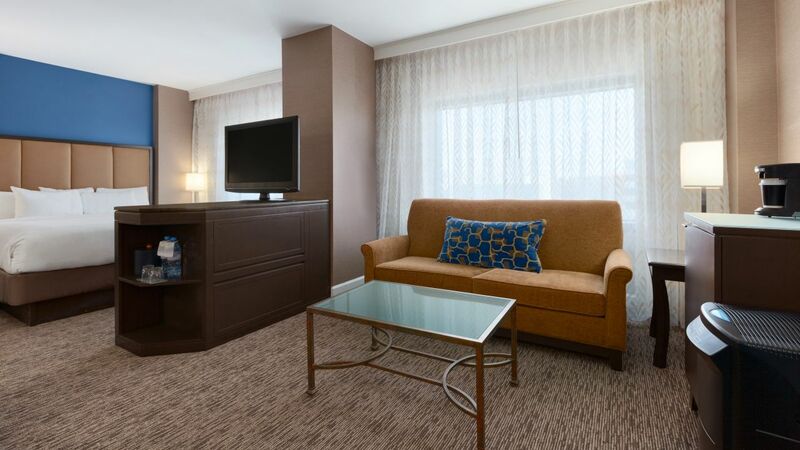 This 374 sq ft suite style room offers one king size Hyatt Grand Bed®, a spacious sitting area with a sleeper sofa, generous workspace, and a deluxe bath. 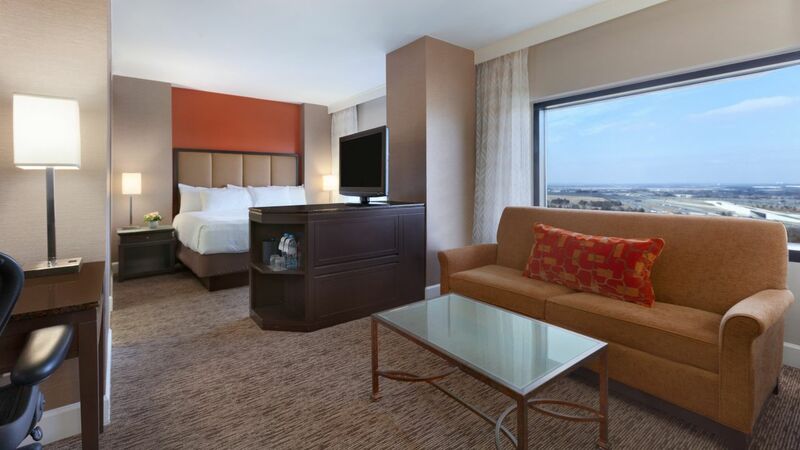 This 374 sq ft suite style room offers two double Hyatt Grand Beds®, a spacious sitting area with a sleeper sofa, generous workspace, and a deluxe bath. Located on the top four floors, this 377 sq ft suite-style room has one king Hyatt Grand Bed®, large living area with sleeper sofa, workspace and deluxe bath. Located on the top four floors, this 377 sq ft open-style room has two double Hyatt Grand Beds®, large living area with sleeper sofa, workspace and deluxe bath. Relax in this 377 sq ft ADA room with one queen Hyatt Grand Bed®, CC television, cordless phone, emergency strobe lights, lowered features, and roll-in shower. 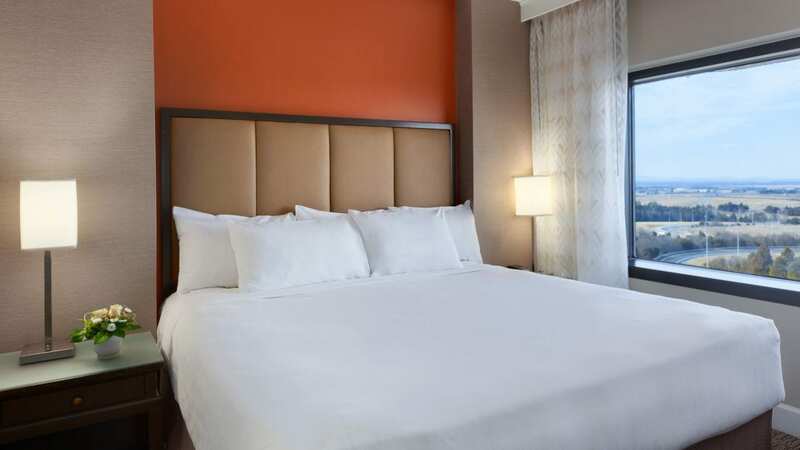 Get comfortable in this 377 sq ft ADA room with one queen Hyatt Grand Bed®, closed-caption television, cordless phone, strobe lights, and accessible bathtub.